*Thanks to FILMPAC & Full Time Filmmaker for the killer footage! What Can I Do with Moment Pop? Moment Pop will give your Stories posts a top quality look in just a few clicks. Your followers will watch longer and engage with your account more. They'll share your posts more often, growing your account while you sit back and relax. Make your Stories more engaging and stand out with eye-catching and professional animated text and graphics. Get followers to visit any website with animated swipe call to action titles! Moment Pop’s animated title templates aren't just for Instagram, Facebook and YouTube videos. They can be used in a variety of video types from travel, sports, wedding, cooking, business, commercials, real estate, music videos and just about anything else! Is Moment Pop Easily Customizable? For sure! Moment Pop is chock-full of customizable options. 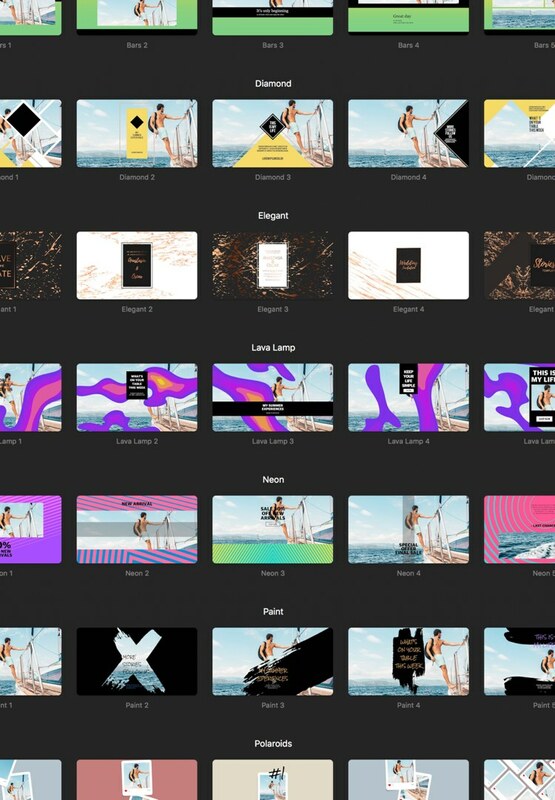 Moment Pop lets even the newest Final Cut Pro user create gorgeous titles in seconds flat. With Moment Pop, you’ll start off on the right foot with one of its 60 stunning templates - choose from 10 different styles. From there, you’ll be able to fine-tune every aspect of your title like size, colors, text, rotation, alignment, starting and ending animations, and much, much more. Does Moment Pop Have a Free Demo? Yes! The demo version is actually the full plugin and all 60 templates can be used in your videos, but they’ll come with a watermark. Moment Pop is delivered through the totally awesome FxFactory. After installing FxFactory, you’ll have a cool demo to play around with. After you fall in love with Moment Pop, you can easily and securely buy the full version through FCPX. Just download and install FxFactory, restart FCP, and like magic you’ll have the power of Moment Pop at your fingertips. Moment Pop is dead simple to use. In just 3 simple steps you'll create eye-catching animated social media titles. First, drag and drop one of 60 professional title templates into your video, next add your text and then end with customization. Find Moment Pop under your Titles, with the category name Moment Pop. When you purchase Moment Pop in Final Cut Pro X you will get a 30-Day Money Back Guarantee! You’ve got nothing to lose and everything to gain!